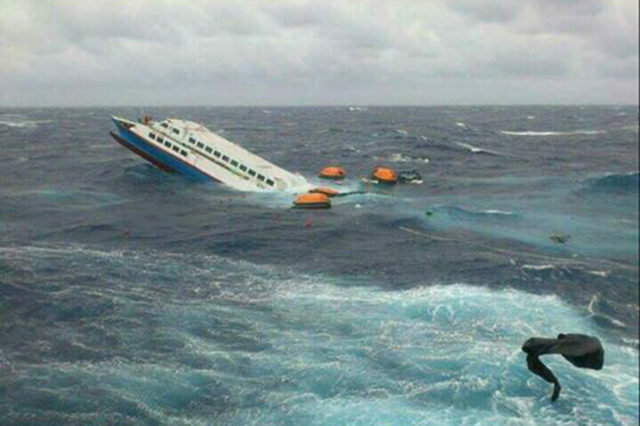 The 272 gt passenger ship Kanzam Express (possibly the formerly Royal Ferry IMO: 9137375) sank off Itbayat Island in Batanes, Philippines. 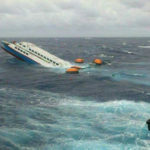 The ferry was near Itbayat with seven crew when it began to sink by the stern. As the bow lifted out of the water, the crew remained on deck when the passing 190 meter long bulk carrier Ingrid C came to the rescue. 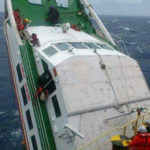 The bulk carrier rescued five of the seven crew. Two crew were reported as still missing. The Philippine Coast Guard dispatched a search and rescue team to the area where the Kanzam Express sank. The cause of the water ingress and later sinking had not yet been reported.